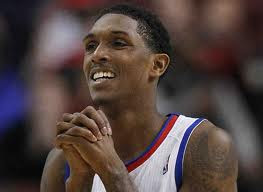 Over the weekend, Lou Williams got out of an attempted robbery because the robber noticed Williams for the charity work that he had done in the mans neighborhood. Everybody thinking that Lou Williams will continue his charity work after this event like I do? Heat: All Of The Lights...For 2011-2012.